As with other readathons this year, I will be posting sign-up and goal progress in the same post. Read as little or as many books as you want. I want you to choose your own reading goals. This is a low pressure readathon and meant to be fun. 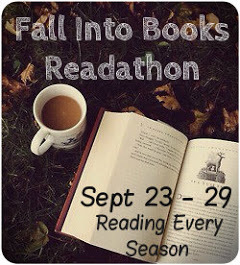 This read-a-thon will be overlapping another seasonal read-a-thon at the same time that I already signed up for, Tackle Your TBR Readathon (by two days).